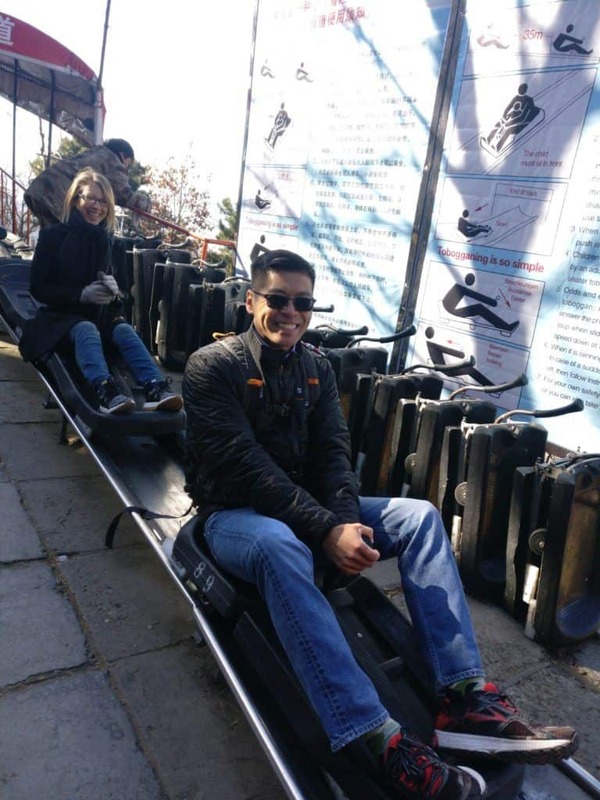 We’ve just returned from an awesome trip to Beijing, China, where we celebrated our one-year anniversary! It was my first time in China, and the first time in Beijing for both of us. 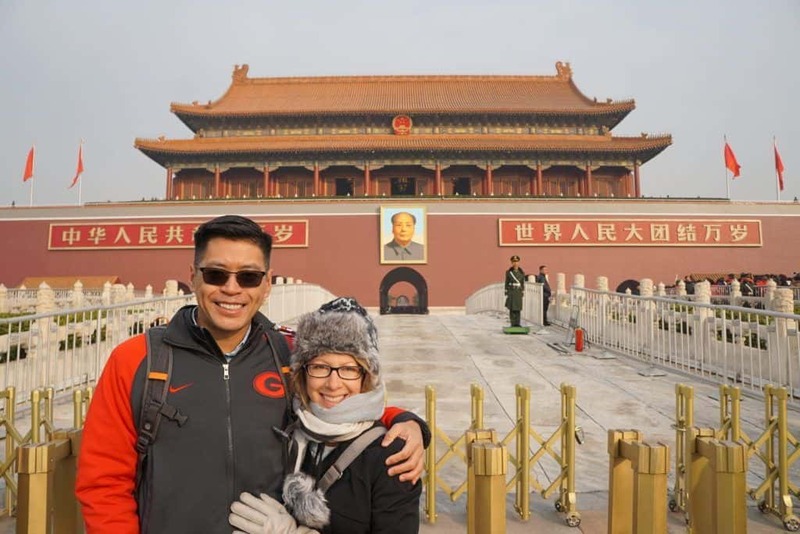 Going to China had special significance for me because my husband is Chinese, so I was really happy that I had this chance to learn more about the history and culture, and experience it firsthand. 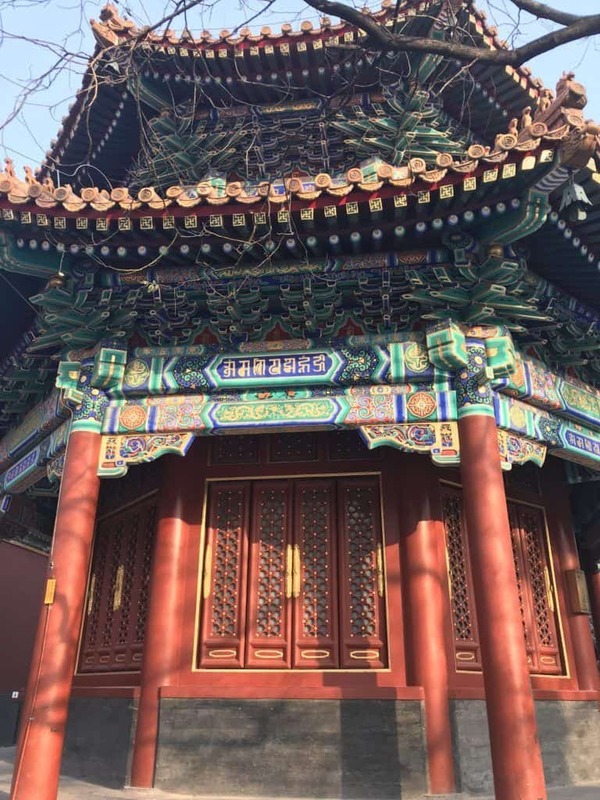 I thought I’d share our experience there plus some tips we learned along the way, in hopes that it will be helpful if you’re ever planning to venture to Beijing. Our trip was nine days total, and we were in the country for seven days. We left the U.S. on November 16, 2017, and returned on November 24, 2017. We flew Delta out of DFW in Dallas to Detroit, then from Detroit to Beijing. Total in-flight time taking this route was about 16 hours. Flying from this side of the world, you lose a day going and gain a day coming back. After arriving, we gave ourselves a couple of days to rest, relax and adjust to the new time zone, which was really helpful. We spent our entire time in Beijing, with the exception of one day when we flew to Xi’an and back. After doing a lot of research on hotels, my husband went with the Fairmont. It’s a familiar brand and caters to Westerners. All the staff speaks English and they were all really helpful and friendly. We splurged for the lounge access and we’re so glad we did. We’d have our coffee, tea and breakfast there in the mornings. In the evenings, we were usually so full from lunch that we didn’t want to go out for dinner, so we’d have a nice little snack for dinner in the lounge and that was perfect. And the people who worked in the lounge were phenomenal and really friendly and welcoming. After taking a couple of days to rest and adjust to the time change, we had four days for sightseeing, and we packed in all the major must-sees plus a few extras during that time. Group tours aren’t really our thing, but we also didn’t want to wing it on our own, so we hired a private tour guide. This was really the way to go. The company we used was Catherine Lu Tours and our tour guide, Lucy, was amazing! She was so knowledgeable about the history and was able to answer my many questions as someone new to China and its culture and history. She was also really fun and thoughtful, and had a calm and laid-back vibe that never made us feel rushed and made her really comfortable to be around, which is important when you’re spending three full days with someone. It quickly felt like we were touring China with a good friend. She did a terrific job of coordinating our itinerary so that we were able to experience everything we wanted to, plus she added in some really cool things that we would never have known about. And she picked awesome places for us to eat — which is always super important in my book! I would definitely recommend this company, and Lucy specifically given the great experience we had with her. You can’t go to Beijing and not visit the Great Wall. It was my first of the ‘Seven Wonders of the World’ and it was amazing! I’ve never seen anything like it, and I’m still having a hard time wrapping my head around how it’s possible to create a massive structure that is about 4,000 miles long by hand so long ago (it was built between the 5th and 16th centuries B.C.). Sadly, we learned that millions of people died, basically as slaves, to build it. But I still couldn’t help being in awe of it. 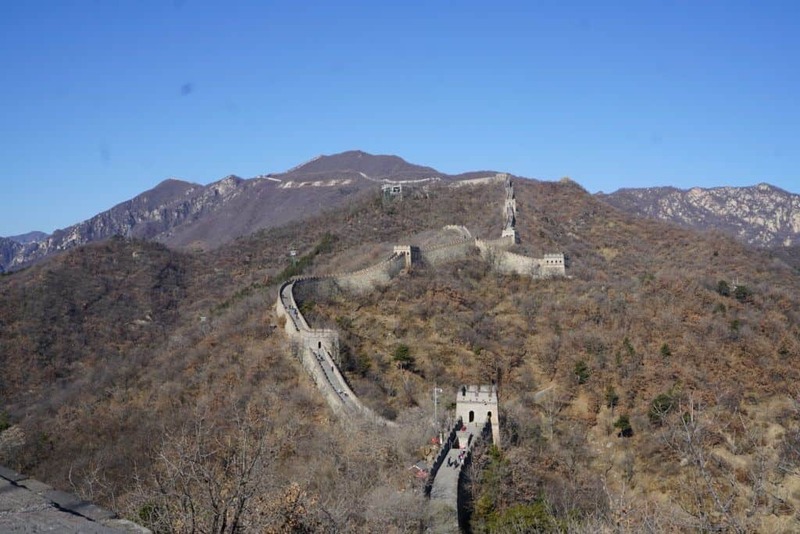 There are several sections of the Great Wall you can visit. Our guide took us to the Mutianyu section of the wall. It’s farther away from the city and there’s a closer section to Beijing than this one, but our guide said this is a nicer section to visit and also less crowded. The Forbidden City was the Emperors’ palace during the Ming and Qing Dynasties, and got its name because it was forbidden to enter the complex without the Emperor’s permission. I’m sure all those emperors would be rolling in their graves if they knew their Forbidden City is now overrun on a daily basis by thousands of commoners! It was constructed in the 1400’s and is literally a city within a city. Said to be the largest palace complex in the world, it spans over 180 acres. You could walk for hours in this place admiring the buildings, garden and artwork, but being a nature lover, the garden was my favorite. At the time I’m writing this, it is closed every Monday for renovations, so keep that in mind when planning your itinerary. Tiananmen Square is in the center of Beijing and home to Tiananmen Tower, the Monument to the People’s Heroes, the Great Hall of the People (where Congress is held), the Memorial Hall of Chairman Mao, and the National Museum of China. 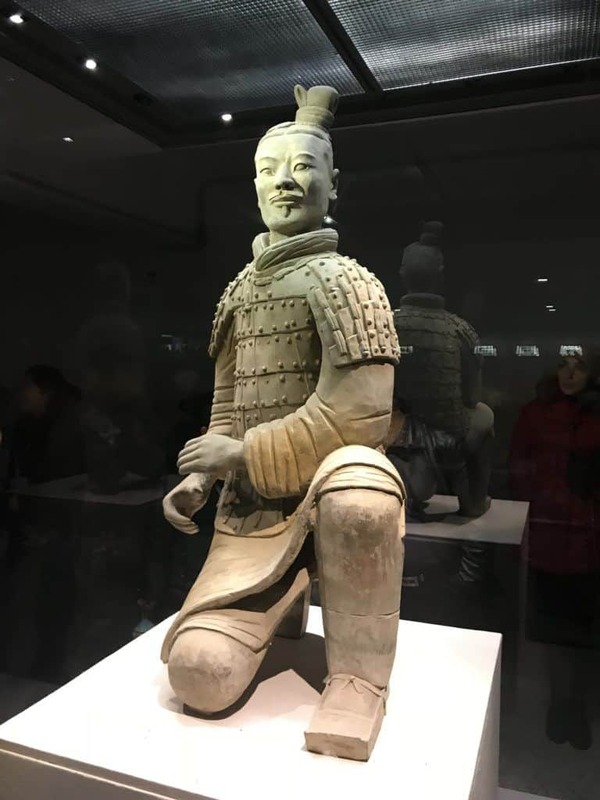 We didn’t go to the museum, I’m pretty sure because of time, but I think it would have been cool to see (although I’ll tell you that Beijing’s museums do not get good reviews on Trip Advisor and other travel sites). A big focus here is on Chairman Mao and the country’s transition to Communism, so it’s more modern history. But Tiananmen Tower, built in the 1400’s, brought us back to the older history, which is what I really like. Also built in the 1400’s, this temple complex is massive (larger than the Forbidden City!) and its architecture is stunning. It’s also very peaceful and serene here, with beautiful old trees all around. This is where the emperors would come to make sacrifices to heaven. An interesting tidbit we learned while here — at the time the temple was built, the Chinese believed that the heavens were round and the earth was square. 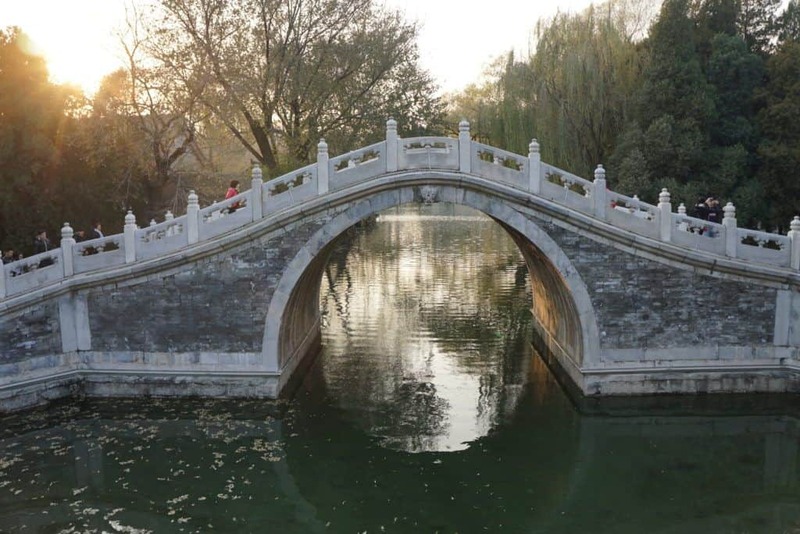 It’s really a lovely place and worth a trip while in Beijing. Also known as the Silk Market, this is a HUGE shopping mall, and it was within walking distance of our hotel. I’m not much of a shopper so this probably wouldn’t have made our list, BUT I forgot my coat and it was freezing! So this ended up being the first place we went after arriving in Beijing. I already don’t enjoy shopping, so add very aggressive salespeople in every store trying to lure you in and then hovering over you as you take a look at their goods on top of that, and it becomes a very not fun experience for me. But it can be a good place to buy souvenirs and gifts for people back home (and a coat if you forget yours — I got a nice one!). 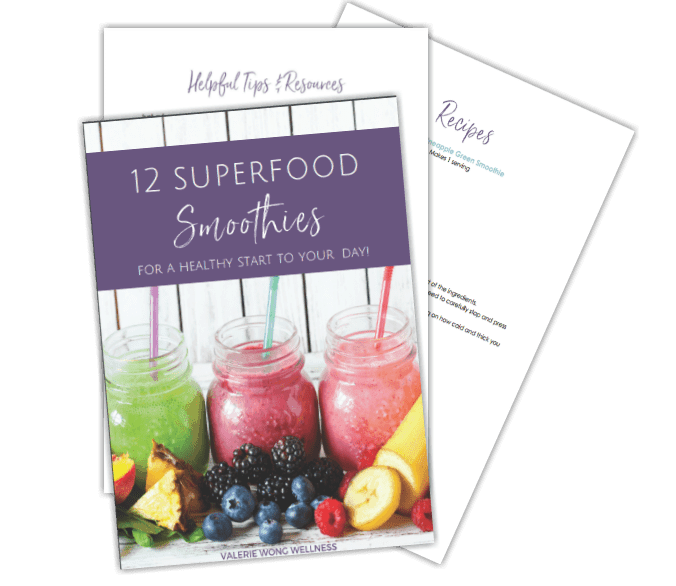 A couple of things you need to know — everything there is WAY overpriced and you have to negotiate ruthlessly or you will pay astronomically more than your purchase is worth. I would recommend not paying more than 25% of the original marked price. Second, there are a lot of “name brand” stores there, but it’s well known that most of the items sold there are knock-offs, so your safest bet is to assume that anything you buy there is a fake and not actually whatever brand name it says. And one final tip — make sure you have a firm grasp of how to convert yuan to your currency before going there (or even better, use an app to calculate the currency conversion for you). Otherwise, you could find yourself making a mistake like I did, where I ended up paying twice as much as I actually thought I was paying in USD because I miscalculated. Aarrgghh! That was a hard lesson learned. 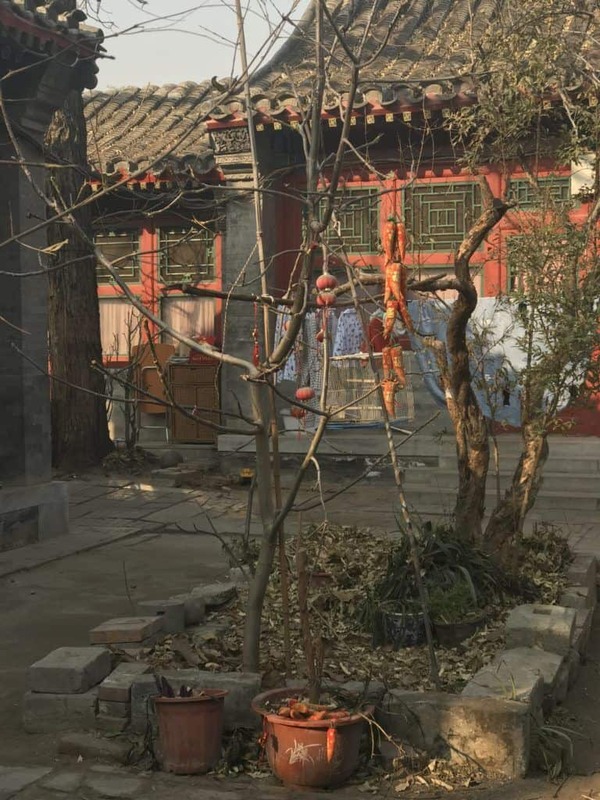 A hutong is basically a traditional Chinese neighborhood comprised of alleys and courtyard residences. 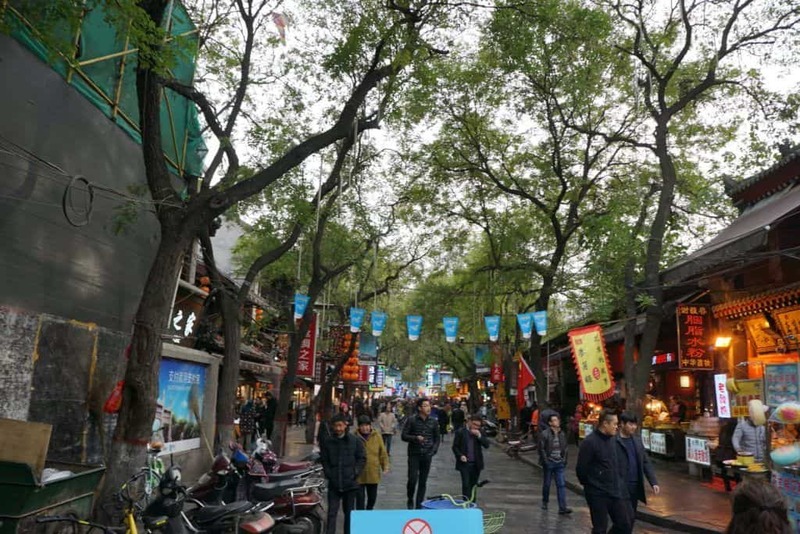 They have existed in northern China for centuries, but in recent years many of these neighborhoods have been destroyed in the name of progress, making room for more modern buildings. Luckily, there’s a movement now to protect remaining hutongs in an effort to preserve this part of China’s culture. Thanks to Lucy, our tour guide, we got to visit a traditional hutong and actually see someone’s home. It’s always cool to see how people live in different cultures, what everyday life is like for them, and what’s different and what’s similar to our own, so this was a really cool experience. 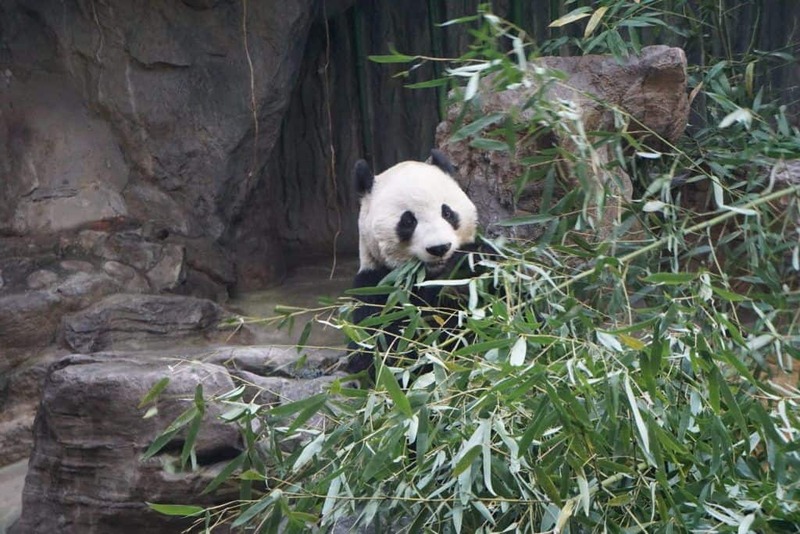 If you’re an animal lover, you have to go to see the pandas at the Beijing Zoo! If I counted right, we saw 8 pandas while we were there. They are so adorable!! Tip: Early morning when they first open is the best time to see them (we got there around 9 am), because they’ve just been fed so they’ll be eating and moving around (otherwise they apparently spend most of their time sleeping). FYI, there is a separate admission to the panda exhibit once inside the zoo, so just be prepared for that. The Confucius Temple was probably my favorite temple. 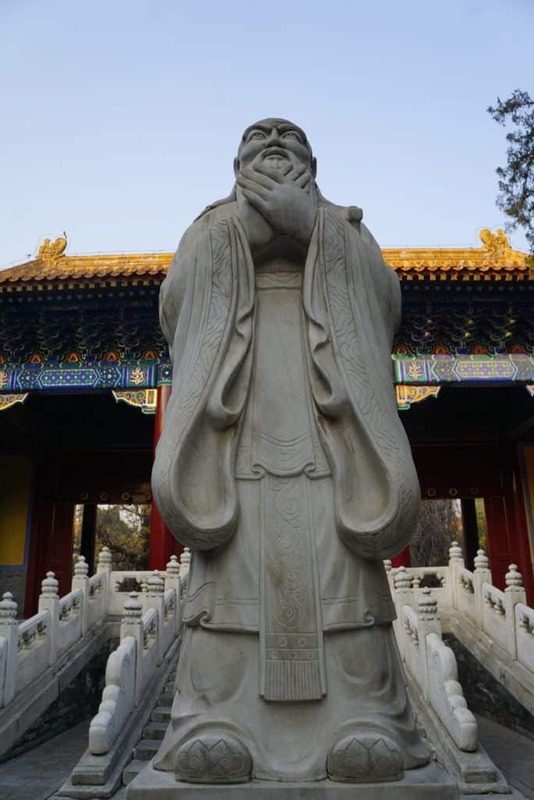 Besides being a fan of Confucius’ focus on lifelong learning, it was just such a beautiful and peaceful place. 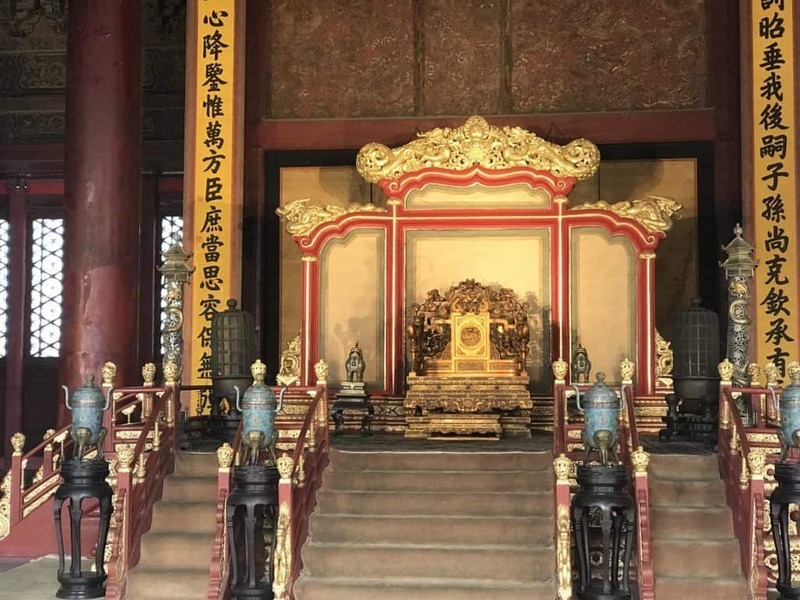 We learned that while Confucianism is a philosophy rather than a religion, he was considered a saint and people still offer incense and worship here to show respect for him and his teachings. Definitely worth a visit! As the site of the 2008 Olympics, Beijing has a huge park complex devoted to the Olympic games. Honestly, this was probably my least favorite excursion as it just didn’t hold a lot of interest for me, but my husband seemed to enjoy it. Sadly, our guide said the park hasn’t seen much use since the Olympics. You’ve probably heard of the Terra Cotta warriors that were excavated in Xi’an in 1974. It’s said to be one of the most significant archaeological finds in the world and many have said it should be considered the 8th wonder of the world. After seeing it, I’d have to agree — it was FASCINATING! Seeing the exquisite detail that went into making approximately 8,000 life-size warriors (plus horses) was mind-blowing. I’m still in awe. I honestly knew very little about them beforehand, and I was amazed to learn that the soldiers are all individuals in that they have different face shapes, facial expressions, heights and weights. 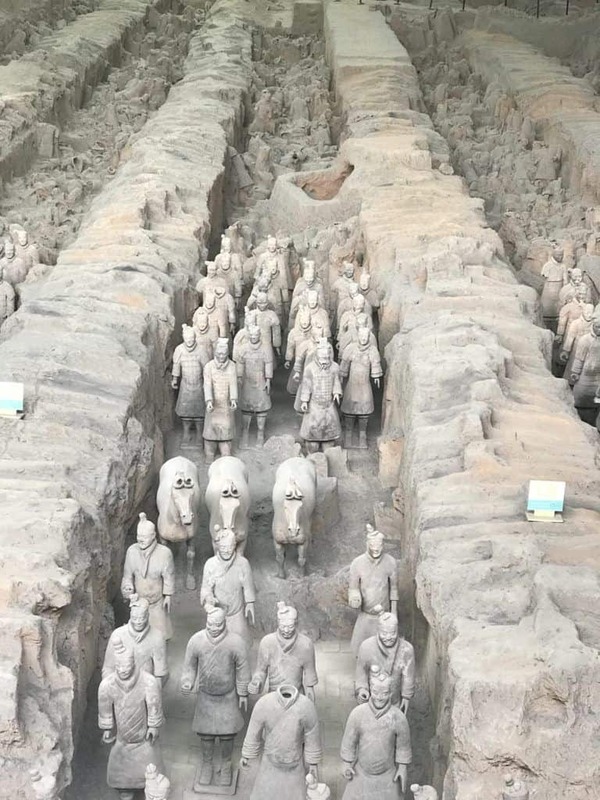 Super quick history if you’re not familiar — Emperor Qin ordered this terra cotta army made to guard his tomb in the afterlife. They were all buried in his tomb and unearthed in 1974 by a farmer who was trying to dig a well for his crops. Can you imagine finding something like this in your backyard?!? Even though it’s not in Beijing and requires some extra travel, I would consider this a MUST-SEE. It’s probably my favorite thing we saw in China. Tip: There are three pits. Pit 1 is the best in terms of having the most intact warriors to see, so start there. Logistics: You can either fly to Xi’an like we did, or take a train. If you fly, you can do this in a day. If you take the train, it would need to be an overnight trip, because it’s a 4.5 hour train ride one-way. The flight is two hours one-way. There isn’t a lot to do and see in Xi’an, so we opted to make it a day trip so we didn’t have the hassle of changing hotels for a night. It was a long day for sure (17 hours to be exact), but worth every minute! 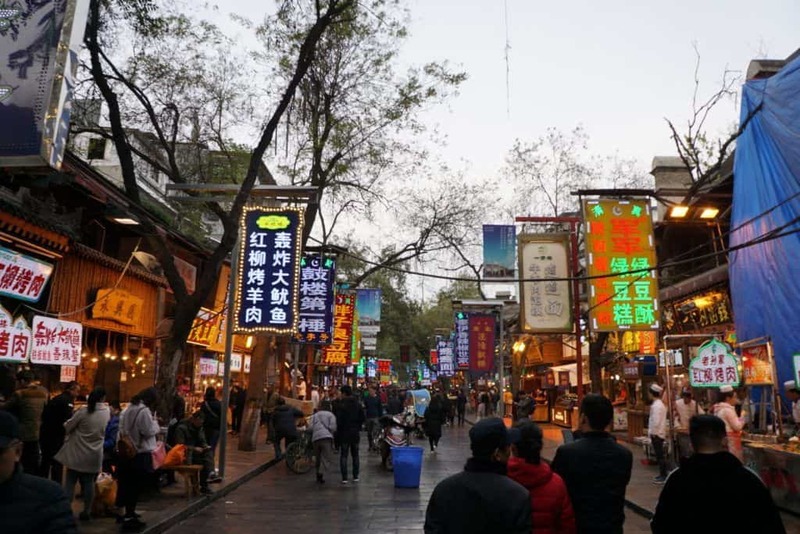 While in Xi’an, the City Wall and the Muslim Street Market are good places to visit and don’t take too much time. We managed to do all three and made it back to the airport for our 7 pm flight with time to spare. 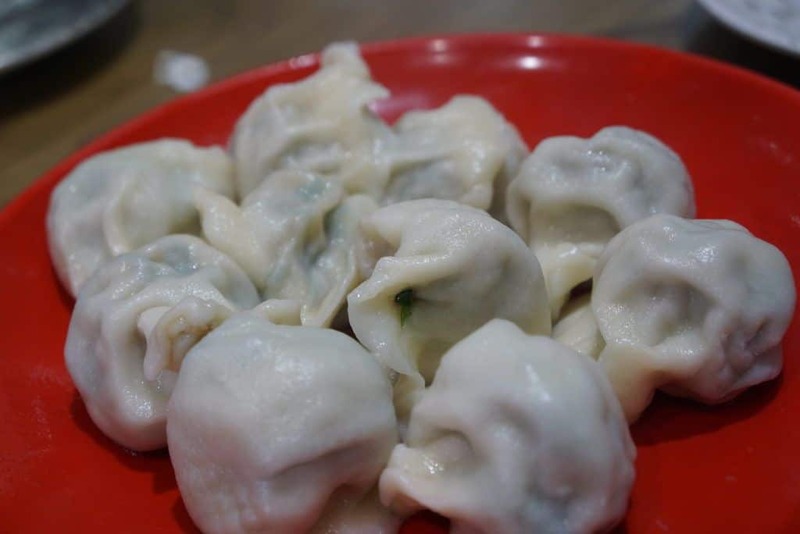 Beijing is the land of dumplings, noodles (two of my faves! 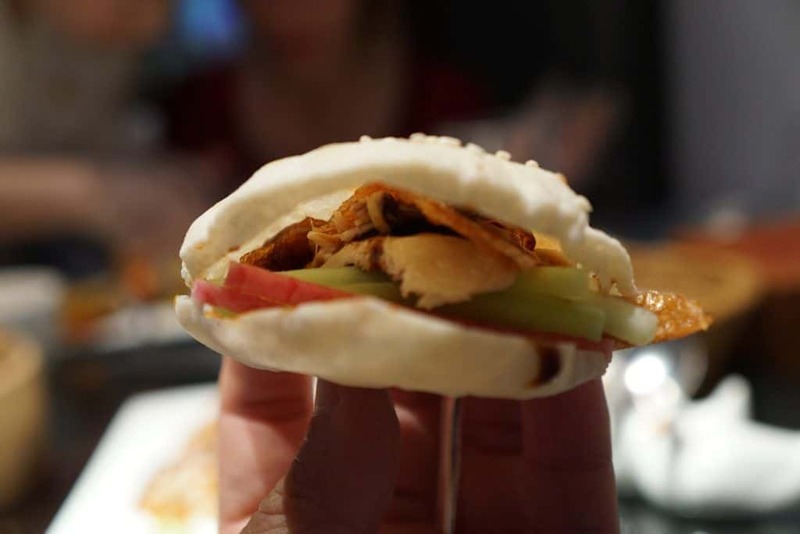 ), and Peking duck, and we were lucky to have some really delicious and authentic examples of all three. That’s why I’m extra bummed that I don’t have more restaurant recommendations to share! The places our guide took us for lunch each day were super delicious and authentic, but they don’t have an English name so I don’t know how to tell you what or where they were (sorry!). And as I mentioned earlier, we were so full from lunch each day that we just had a light snack in the lounge every evening for dinner. 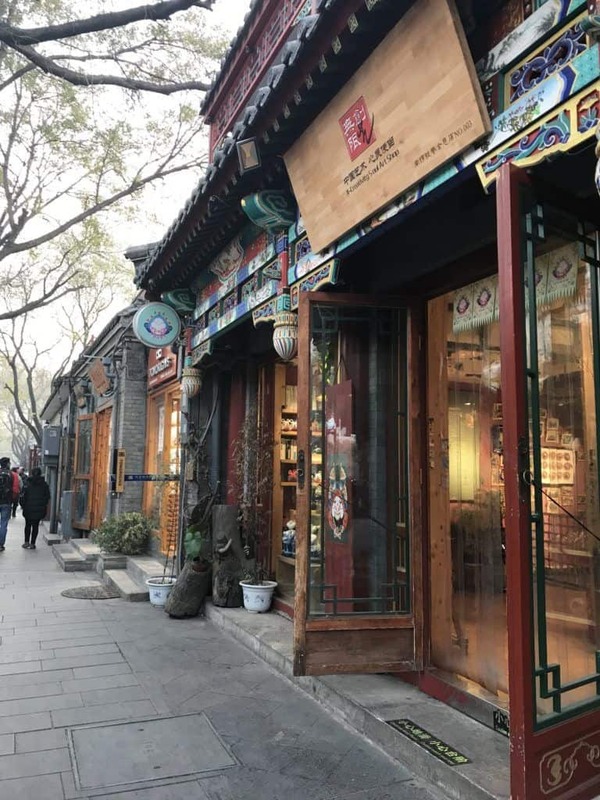 TRB (Temple Restaurant Beijing): TRB is a French-inspired restaurant that is located in a historic compound near the northeast walls of the Forbidden City. 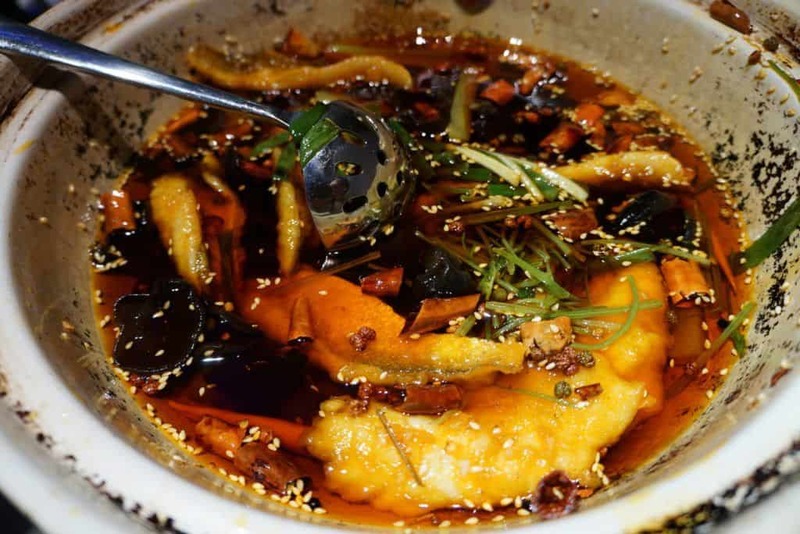 Beijing doesn’t have any Michelin star restaurants, but based on our research we thought this would be the next best thing (it was definitely priced like a Michelin star restaurant!). My husband chose this for our anniversary dinner. It’s beautiful on the inside with a low-light romantic atmosphere, so it’s ideal for a special date night dinner or special occasion. 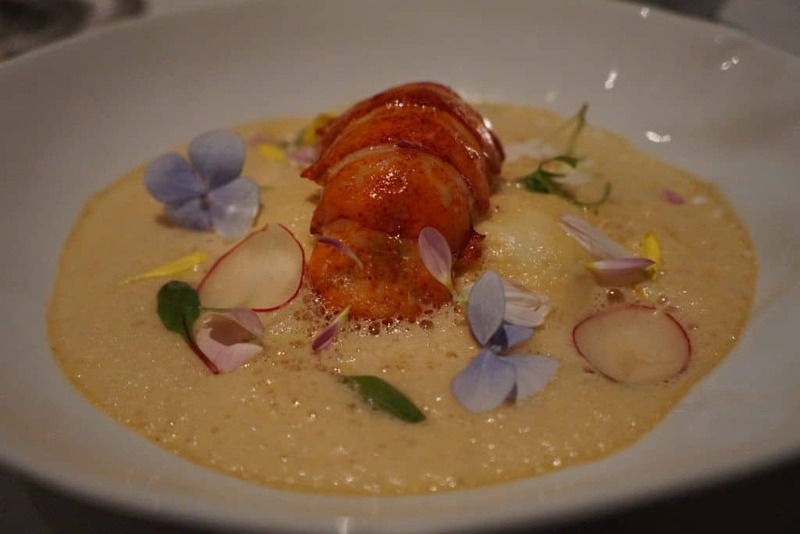 We chose the Chef’s tasting menu, which is a five-course menu with an optional wine pairing. The dishes here were very creative and beautifully plated. 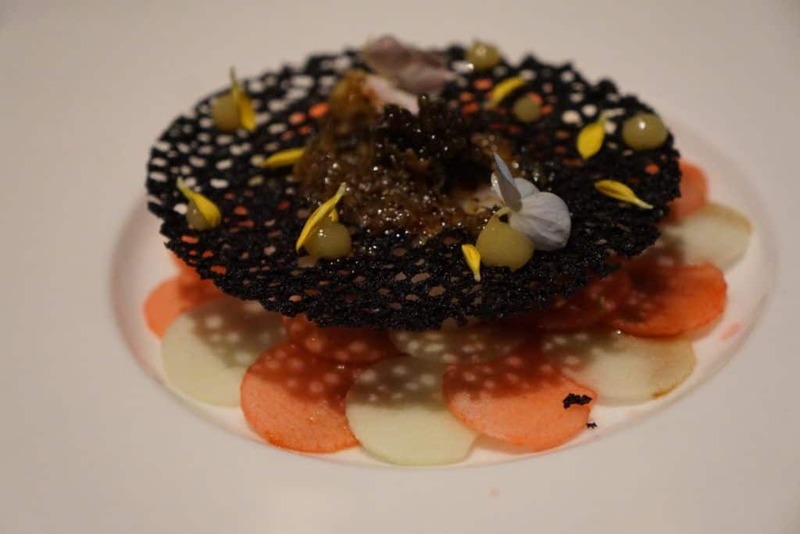 I think my favorite dish of the night was the crayfish with cauliflower, Romanesco cabbage and squid-ink wafers (pictured here). The staff here speak English and the service was incredible; they really go out of their way to make you feel special. However, the kitchen’s timing was a little off and there were often long delays between courses. Overall, we enjoyed the meal and the experience, but felt the food wasn’t on par with the price. 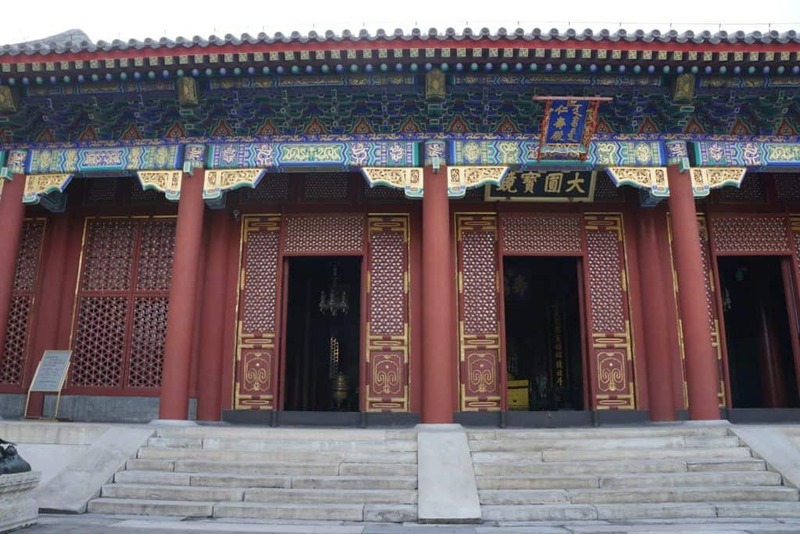 (Tip: We were there after dark, but TRB is open for lunch, too, and it’s our understanding that during the daylight you have a view of the Forbidden City). 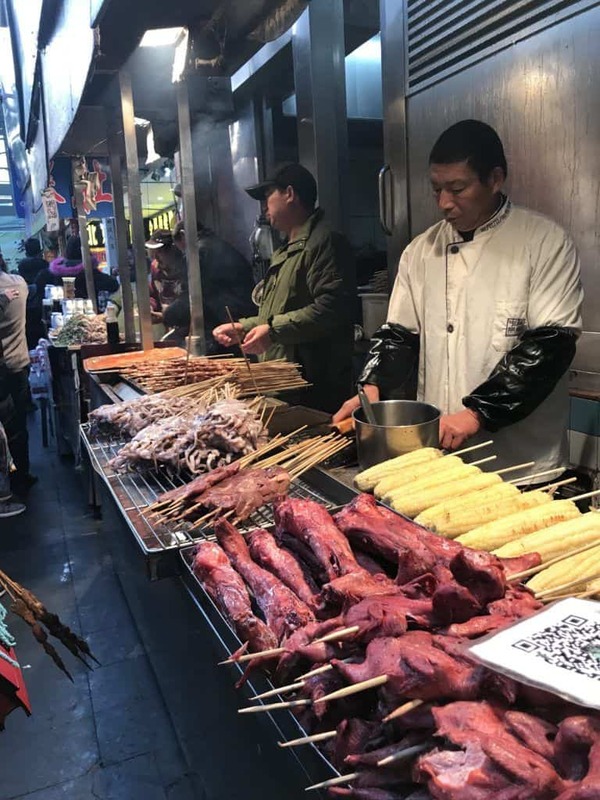 After we got home, we were super bummed to discover that Andrew Zimmern did an entire Beijing episode on Bizarre Foods and it aired literally while we were in Beijing. What are the odds?! Most of the foods weren’t bizarre, but they were really cool because he highlighted some places that really combine history with the food they serve, offering ancient recipes that once were only available to the Emperors (in some cases, the chefs or owners were descended from people who worked in the Imperial kitchen and passed down those recipes to their families — how cool is that?!). Plus, the second oldest restaurant IN THE WORLD is apparently in Beijing. How did we miss this?? I’m a little heartbroken that we missed out on that opportunity, so now I’m determined to go back just to try this and some of the other restaurants Andrew recommended (good thing we got that 10-year Chinese visa!). 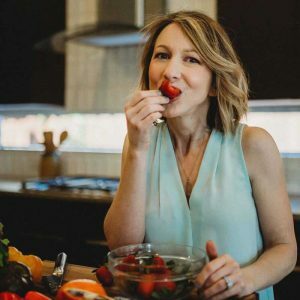 If you’re a foodie, definitely check out this episode before you go! Traffic: Beijing traffic is very heavy, so be sure to factor in extra travel time for traffic. Toilets: Many of the toilets you’ll encounter in Beijing are “squat toilets,” which is traditional for this part of the world. They’re basically porcelain basins inserted into the floor, and most of the ones we encountered would flush. The majority of places we went offered at least a couple of stalls with Western toilets, and most of them let you know what type of toilet it was with a picture sign on the door. But at some point, you’ll end up using a squat toilet, so just get used to the idea. I found it to be a little awkward but not bad, although being bundled up in so many layers of clothes made it a little more challenging! Toilet paper: Many toilets you encounter will not have toilet paper available, so come prepared! We brought our own little travel rolls of TP and were really glad we had them. We also were glad for the hand sanitizer we brought, since a lot of the toilets we used didn’t offer soap. Taxis: Lyft and Uber are not available in Beijing. There’s a Chinese version called Didi, but because of the language barrier, we didn’t try to use it. I think it would be pretty tricky to use if you don’t know Chinese. So that leaves you with taxis. Always ask your hotel to call a taxi for you when going out, and ask your concierge if the restaurant (or wherever you’re headed) will call a taxi for you to return. We learned the hard way that taxis are VERY hard to hail in Beijing. They are on the Didi rideshare app, so most of the taxis you see will already be enroute to a customer who hailed them on Didi. This should go without say, but don’t expect your taxi driver to know any English. Be sure your hotel gives you a card with their name and address in Chinese that you can show the driver. Tip: If you get in a pickle and can’t find a cab, try to find a hotel nearby. They usually have someone who speaks English and may be able to help you with a cab — we almost had to resort to this. Internet access: You’ve probably heard of the “Great Firewall” of China, and it’s for real. Internet access is very limited, and finding it is tricky. Your best bet is to use a VPN (virtual private network). Between the VPN we used and our international cell plan with T-Mobile, we actually were able to have full access to the internet (the Chinese government limits what people have access to there; for example, no Google, Facebook, or even WhatsApp). But we were able to have full access to pretty much everything just like we would at home, and we were even able to text with people back home. I’d research the VPNs thoroughly close to the time you’re leaving (there are always new ones popping up because once the Chinese government learns of a VPN that’s working, they stop it). And download more than one on your phone as a backup. 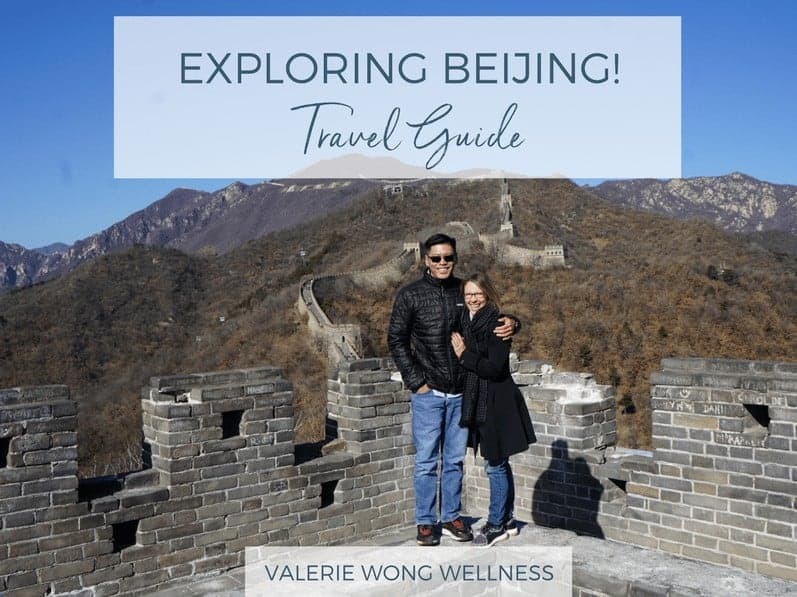 Download the free Beijing Travel Resources List to see which ones we used. WeChat: This is the Chinese version of WhatsApp and is widely used in China. My husband downloaded it long before we left and used it to communicate with our tour company and restaurants for making reservations. It will also allow you to communicate with people in-country once you’ve arrived. We used it to communicate with our tour guide. It’s also a good backup to have so that you can communicate with your travel partners (in case your VPN were to fail, which definitely happens, though we had really good luck with ours). Currency: The Chinese currency is the yuan, also referred to as RMB. At the time I’m writing this (November 2017) the currency exchange is roughly 100 yuan = $15 USD. Pollution: You’re probably aware of the heavy pollution in China, and it is no joke. We came prepared with masks but weren’t sure if we’d actually use them. We used them almost every day and were very glad we had them! The pollution was so bad some days that it was a little hard to breathe. My husband did a ton of research on which masks to buy, and his choice was the Cambridge Mask Company, which is UK-based. Their technology is supposed to be superior to other masks, using military-grade filtration technology. As a bonus, they make really cute designs and come in different sizes (mine had pandas on it!). You can find them here on Amazon. Weather: We were told it gets really hot in Beijing during the summer, but we were there at the beginning of winter and it was very cold (at least for this little Southern girl). The lows were in the 20’s F and highs in the 40’s F and it was often windy which made it feel even colder. If you’re there in winter, I highly recommend a warm hat, scarf, insulated coat, lined boots, gloves, and long silk underwear. We were told the coldest time of the year is January. Even though it was very cold (and I do not like being cold! ), I’m glad we went during this time of the year because the crowds are much smaller and we were able to get a way better view of the sights, and without the extremely long waits you’ll experience during the peak season. Passport/Visa: You need a visa to travel into China, and they’re pretty strict. Also, the Chinese Embassy does not allow you to mail in your passport to get the visa, so you either have to take it to the Embassy yourself or have a courier service deliver it. We live in Dallas and the nearest Chinese Embassy is in Houston (5 hours away), so we opted to use a Visa/Passport service. It will cost you more, but I recommend using one of these services. Besides delivering your passport for you, they also help you fill out the forms, which are pretty complicated. Before applying for the visa, you technically need to know your itinerary ahead of time plus know the hotel where you’re staying — they’ll ask for all of this info. You also have to show proof that you’ll be flying into and out of the country. Time Difference: Beijing is 14 hours ahead of U.S. CST. If you’re flying from North or South America, you’ll lose a day going and gain a day coming home. Beware of scooters: Many people in Beijing use electric scooters as their main form of transportation, so there are a lot of them on the roads. Because they’re electric, they’re quiet and you won’t hear them coming, so just be watchful when you’re crossing streets. Water: Only drink bottled water in China. Even the locals boil the water before using it because it’s treated with so many chemicals. Subway: Beijing actually has a really good subway system. It’s pretty extensive and the trains and stations we used were really clean. Like most busy subways, it can get really crowded, so try to avoid the peak hours (when people are commuting to and from work). Navigation: Maps.me is an app that gives you access to maps offline, which is awesome given the limited internet access in Beijing. I highly recommend downloading this app and the Beijing maps before you depart — just in case! Language translation: We tend to rely on Google Translate when we travel, but no Google products are allowed in China (though they will work if you’re using a VPN). I recommend downloading the Microsoft Translator app. Like Maps.me, it works offline so you always have the ability to translate — super important in Beijing, where limited English is spoken. A trip to Beijing is a different type of vacation for sure. I’m not normally a big fan of spending my whole vacation in a big city, but this was a really unique experience for me. This was my first time in a Communist country, and it opened my eyes to what it means to live under Communist rule. I remember learning about Communism in school and so I had a basic grasp of the concept, but here I got a small glimpse of what it’s like for people in everyday life. It made me realize there are many rights I take for granted that others consider a privilege. One small example of this is owning a car. As long as I have the means to purchase it, register it, insure it and maintain it, I can have a car (or as many cars as I want). I’ve owned a car since I was 16 years old. This has always felt commonplace to me, and (aside from being grateful for having the means to own and maintain a car) I’ve never thought of it as a privilege. I learned that in Beijing, you have to ask the government for permission to own a car, and most people’s applications are rejected. They do this to help prevent the pollution problem from worsening and to help with the extreme traffic problem there. I don’t write this to cast judgment or make a statement on political ideologies. I only wanted to share it because for me it was a pretty profound learning experience to see everyday things (like owning a car) from a completely different perspective, and it was a really meaningful aspect of this trip. To me, this is one of the most amazing joys and privileges of travel — the chance to expand your perspective, learn about and experience different cultures and philosophies, and connect with people in a spirit of discovery and mutual respect and appreciation for our differences, while also recognizing our many similarities as fellow inhabitants of this earth. These are the things that stay with you for a lifetime. Being from such a “young” country like the U.S. (in terms of its history), it was also fascinating to learn about the incredible history of China. To put my hand on the Great Wall and know I’m touching something over a thousand years old, and thinking of everything that wall has seen during its existence, was pretty amazing. Thanks to our guide, Lucy, I got a much better understanding of both the history and culture of China. If you’re someone who also enjoys learning about history and different cultures, I think you’ll really enjoy a trip to Beijing. 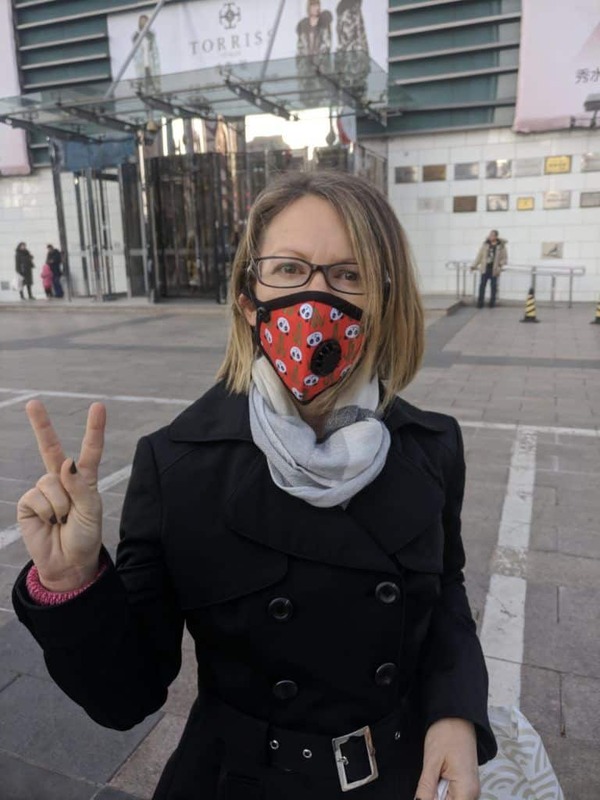 PS – If you’ve been (or go) to Beijing, I’d love to hear about your experience! Comment below if you have any tips from your travels there, or post any questions you have and I’ll do my best to answer them based on our experience. You’re also welcome to email me directly with questions.